As Beauty Brawl Day Five, today I'm going to be sharing with you a nail varnish which is perfect for Summer. I recently picked this nail varnish up in Primark as the colour is just completely me. 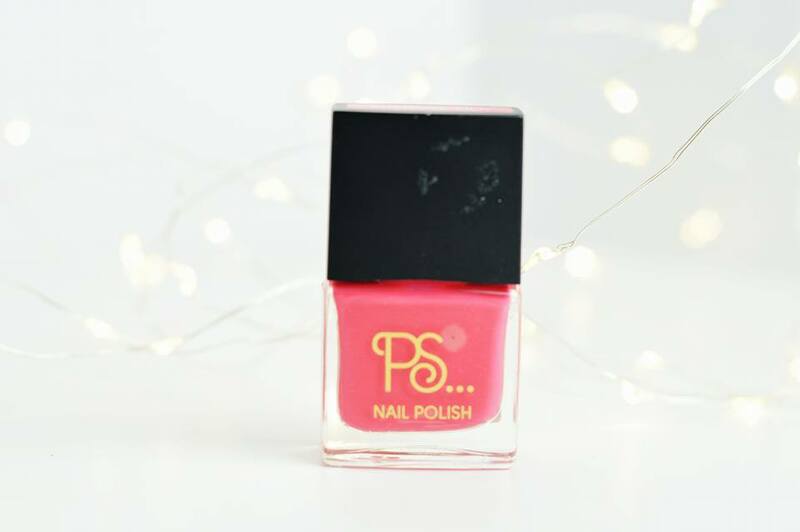 It's bright, it's pink and it stands out from ages away and that's what I absolutely love in a nail varnish for Summer. I cannot rave on about Primark nail varnishes enough to be quite honest, if you follow my nail gram (@kimberleyjesscanails), then you'll completely understand why I love them with the colour pigmentation of just one swipe. They cost less than £1 which is very rare to see in a nail varnish of such a good quality. I painted my nails with this on Saturday evening last week and it is still holding on strong with no chips whatsoever. Now, I've tried nail varnishes over £5, and they've chipped within minutes so this definitely says something. Of course I have rated this product extremely high purely because I love their nail varnishes and I have never had an issue with them. They're long lasting, cheap but absolutely stunning. For the product itself, I rated this as 98 because I personally only use on coat of nail varnish unless I HAVE to use more than one because it's streaky. So with Primark nail varnishes, I do not have the problem of having streaky nails and the coat of nail varnish goes on absolutely wonderfully just as one. This dries completely in less than one minute as well which is perfect if you're always in a rush to do other things. As much as I love the product, I'm not too keen on the packaging. The lid is far to bulky and a bit of a pain to hold while being precise with the brush. I remember their old range you could pull the black rectangle off and you're left with a skinny cylinder shaped handle but the no longer make the packaging this way. Last but not least, of course the price has to be rated as 100. 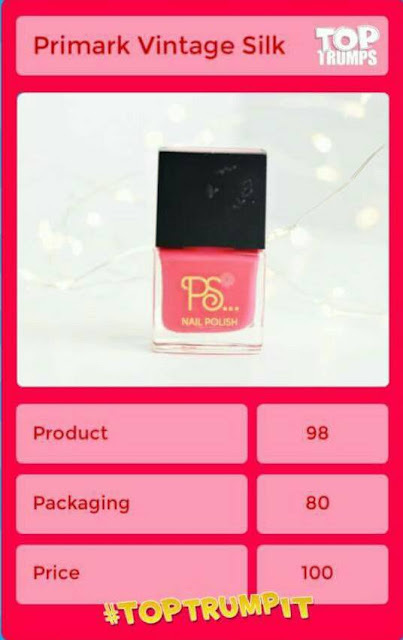 For a brilliant nail varnish which is high quality and highly pigmented which just one swipe, you can't go wrong when you're paying less than a £1. If I had to go anywhere for my nail varnishes and I was on a budget, I'd definitely head on over to Primark and pick up their whole range because they're perfect for anyone. Don't forget to check out Tione's day seven review here!